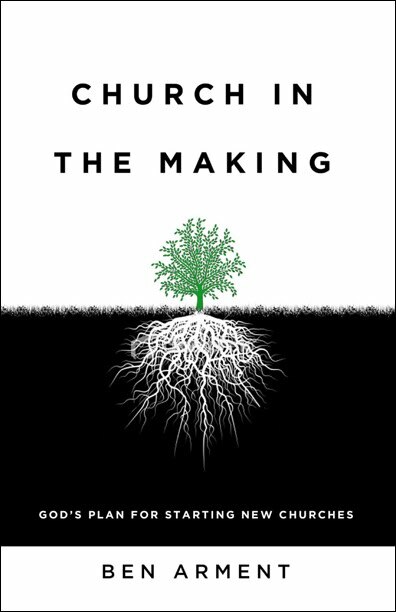 I just finished reading Ben Arment’s book, Church In The Making: What Makes or Breaks a New Church Before It Starts? If you’re a church leader, you should probably know who Ben Arment is. He has been a church planter and most recently has been gathering innovative leaders to share their thoughts and insights at events like The Whiteboard Sessions, STORY, and Dream Year. You can see Ben’s heart for equipping leaders in these ministries and in his book. The first section of Church In The Making is called “Good Ground” and Ben uses the Parable of the Sower in Matthew 13:3-9 as an illustration of how some church plants are planted in fertile soil and some in rocky (and oppressive) soil. Ben writes that the spiritual receptivity of the area where the church will be planted has everything to do with the success of the church. Churches can be planted in “rocky soil” but will face more resistance and difficulties. The second section of the book, called “Rolling Rocks” was especially insightful as Arment wrote on creating momentum in a new church. What was interesting was that he said that people and communities rarely care about a new church, but they care about relationships. It is strategic then for church leaders to consider the human network that they find themselves part of and see where momentum can be gained. The final section is called “Deep Roots” and focuses on creating a leadership team that can carry the vision further than the pastor alone. One way that deep roots are established is by doing something that no one else is doing. Churches should find a niche, a focus and strive to do that with excellence in communicating the gospel. A church should create an identity and purpose that they are unapologetic about- and will not compromise on. That might mean that some people leave the church, but everyone has to get on board with the vision. Likewise, if an activity or ministry does not help promote the vision, it should be pruned so that time, energy and finances can be put elsewhere. While this book is geared towards church planters- it has some application for churches that have an established history. We must consider that spiritual receptivity of our communities. When Avenue Church launched our 9:30 worship gathering 7 years ago, we had been cultivating the soil of our church and our community for almost 8 months leading up to the launch. On our first Sunday, when we expected 40-50 people, we had 90 and the service is regularly attended by 200-250 people. This service is also doing something that no one else was doing in Milford at the time- which contributed to it’s success. I think that Pastors in the United Methodist Church could take more time to think about our social networks and how to leverage them. Yes, it is difficult to do so in the UMC when you itinerate, but our churches are filled with people who have connections and networks throughout our communities. Leaders and Pastors must learn how to tap into these networks in order to share the gospel. It also means that as UM Pastors move into a community, that building relationships should be a very high priority. Ben Arment’s Church In The Making really energized me about church leadership and the possibilities of what God wants to do through the Church. This book will be very high on my reading list for our church leadership- as it asks a lot of really good questions that most (all?) churches need to wrestle with. Have you read the bok? What do you think? Does your church do a good job of using social networks to spread the gospel? What is creating momentum in your church? Leave your thoughts below in the comments! This entry was posted in Book Review, Church, Leadership. Bookmark the permalink.